Tigger, from Winnie the Pooh, sure does have a ton of energy. It seems like he really has no limits when it comes to leaping and bounding through Hundred Acre Wood like a party animal. Wouldn’t it be great if you could harness that kind of energy and add it to your everyday life? Why, you’d have enough time to hop around the block a few times, clean the bathroom and do the dishes, all before you even sit down to have breakfast. Unfortunately, even a shot of espresso probably can’t give you that kind of energy! 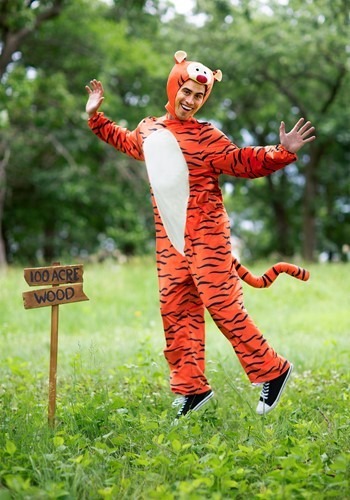 The good news is, this Tigger costume for adults can at least make you LOOK like Tigger, even if you’ll never quite have the level of energy of the Disney character. 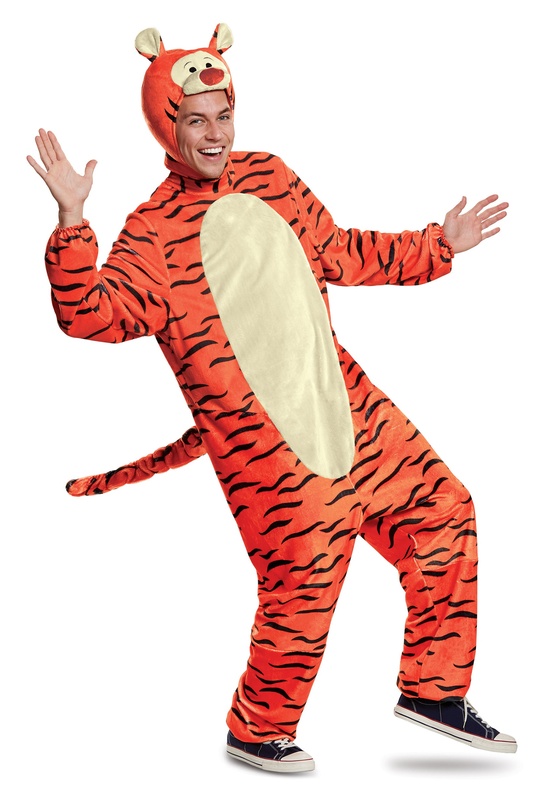 This licensed Tigger costume is a deluxe outfit styled to look like your favorite bouncing feline friend. 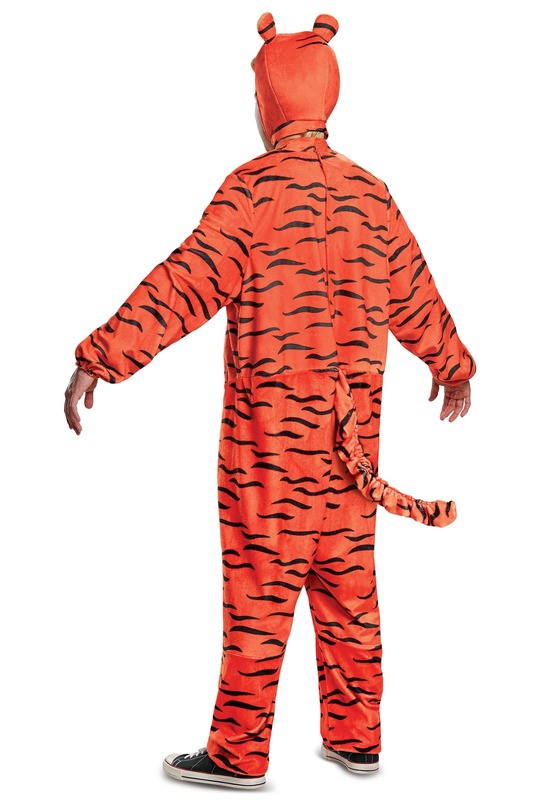 The costume comes with a full-body jumpsuit that has the orange and black stripes of a wild tiger. It also has a matching headpiece that has a sculpted plush rendition of Tigger’s face on top. Elastic bands around the wrists and feet make sure the costume stays snug on you while you frolic around with Pooh Bear. You might find yourself bouncing around the neighborhood like a cartoon character, so you may want to give your neighbors a warning about your newfound look! Be sure to check out our other Winnie the Pooh themed costumes to get a costume group going of your favorite storybook characters.